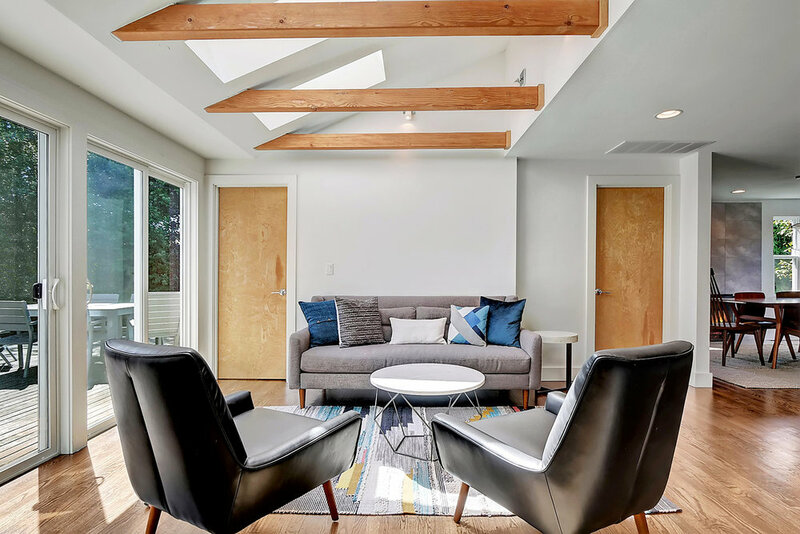 An expanding family was about to outgrow a 2 bedroom, 2 bath 1,100-sf mid-century rambler in Seattle’s Ravenna neighborhood. 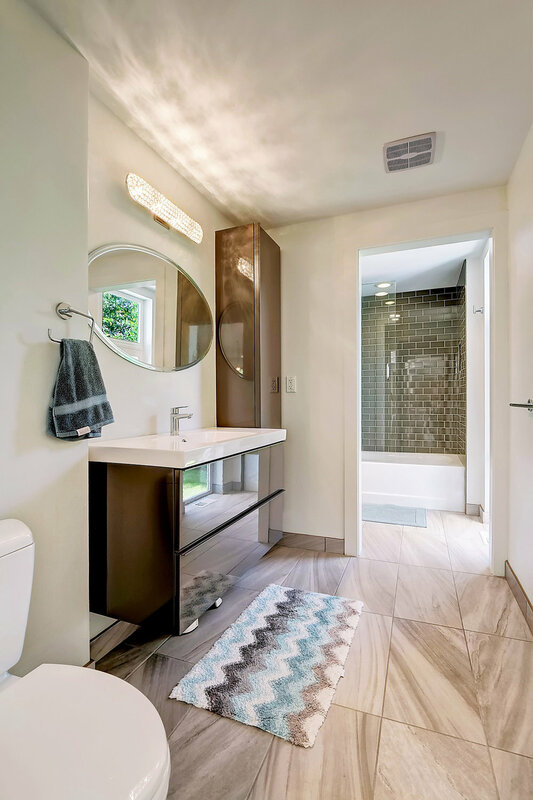 The house had been through significant renovations which compromised the functionality of the interior spaces and disconnected it from the outdoors. Though the design added a new second floor master suite, a kid's bedroom wing and a sizeable guest room, its most important contribution was reorienting the existing rooms and connecting them with its long-forgotten backyard. Vaulted ceilings with exposed wood beams in living room and master suite. A centrally-located deck connecting open living space and backyard.